Yes, I’m still waiting for that special day when the Lady Luck will bless me a few billion bucks to spend at my will and leisure. 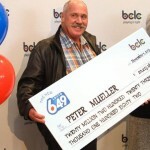 Alas, that day has not come for me, but I can’t say the same for Duarte Almeida – a car mechanic who won the Lotto 649 jackpot for a whopping $13.7 million, yeah that’s right, Duarte got showered; I’m still waiting under the sky to be blessed! 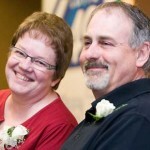 When the retired mechanic won the lottery jackpot, he was thrilled, shocked, happy and thrilled (did I say thrilled? Well, you’ve to agree winning is double thrilling!). Talk About Wheels of Steel! Now We’re Talking! 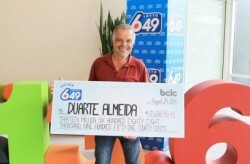 Duarte had been playing the same numbers since 1986 and he waited for more than three weeks to check his ticket even when he knew that the winner was from Victoria! Now that’s what you call heights of patience! How can you not check your ticket even when you know that the winning ticket holder is in the same country as you?! I would have probably checked the second the winner was announced! Now, as for our man Duarte, he almost fainted when he finally checked and found out that he was the winner of a solid $13.7 million! Duarte, who had been joking with his wife about winning big before he dies, was utterly shocked and completely surprised by the fantastic turn of events. Like most lottery winners, Duarte had a tough time sleeping, but he picked up his big fat check wide-eyed and full of energy! What’s he going to do with the money? Oh, nothing much, he plans to buy a truck and take his wife on a vacation to his home country – Portugal. Isso é maneiro isn’t it? 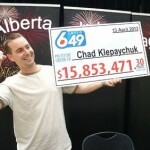 As for Kevin Gass, the vice president of lottery gaming for the B.C. 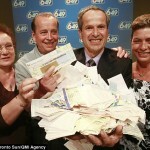 Lottery Corp., handing millions of dollars to lucky winners feels fantastic! Wish I could say the same… anyway, I and I’m sure you’re all happy for our man Duarte Almeida, we wish that he doesn’t come across the lottery curse (insane spending spree followed by being utterly broke) and that he truly preserves his winnings, enjoys them, saves for the future and lives a happy life with his wife, and truck?